The edge banding machine shall be maintained regularly at an interval between 17 and 20 days, and the wearing conditions of gears, bearings, eccentric bodies and other components shall be checked during the maintenance, after which, each part of the machine shall be regulated correctly. Firstly, clean up the machine and work site; Secondly, check if the vacuum system is normal; Then check whether the sliding table saw blade is sharp; Check whether the saw blades in different sizes are in a straight line; Test the machine for about one minute to check whether the machine can run normally; Finally, prepare the materials and accessories. It is necessary to check whether the ground is strong and flat before installing the automatic edge banding machine, and it is optimal to install it on the concrete surface to ensure the stability after setting. Sort the panel measures by specifications and sizes. Surfaces of face panels and side panels shall be selected, and handle the panels gently. For that purpose, we require the personnel operating the CNC cutting saw to observe the output pressure display of the air compressor before use, and adjust it in time (if any inconformity) to save raw materials and time. In order to protect the hinge drilling machine and achieve the optimal working effect in use, we should pay attention to some instructions. Firstly, the right drill or bit shall be selected according to the target object. The corresponding drilling rate shall be selected according to the target object. Firstly, as the name implies, the most significant technical advancement of the woodworking sliding table saw is the processing precision provision, which is of great importance for the panel processing industry, because the improvement in precision will contribute to the beauty and comfort effect of the furniture. Electronic panel saw features the merits below: 1. Higher productivity;2. Longer service life;3. Woodworking panel saw enables a higher transmission efficiency and a lower friction loss. The function of a position detection device is to determine the displacement and speed of a moving part in the automatic drilling machine, send a feedback signal to form a closed-loop control system, and convert it into a digital signal and send it back to the CNC device for comparison with the pulse command signal, thus controlling the correct operation of drive element. 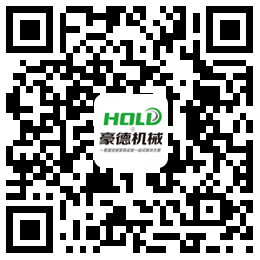 HOLD after-sales teams are located in China and abroad, and we focus on the research and development of automation, CNC, and custom-made panel furniture. We always aim at customer needs and take contious effort.